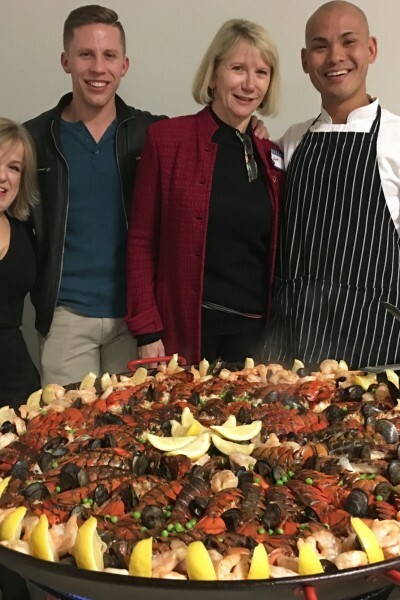 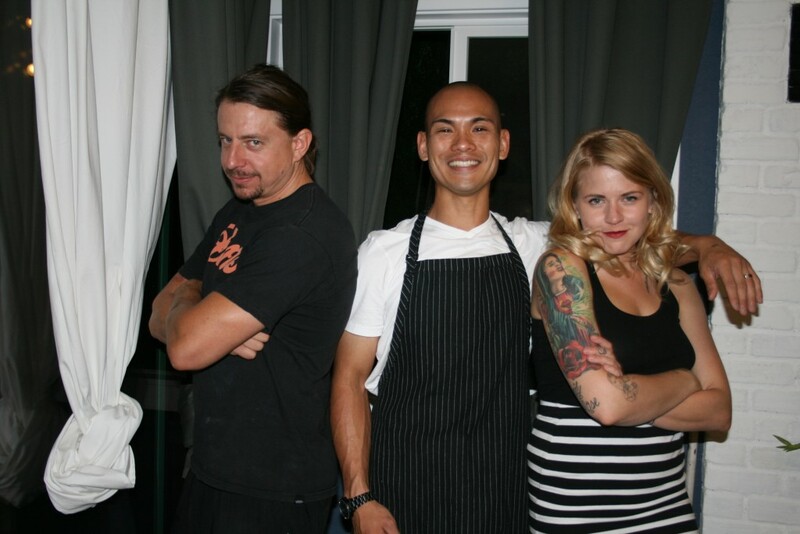 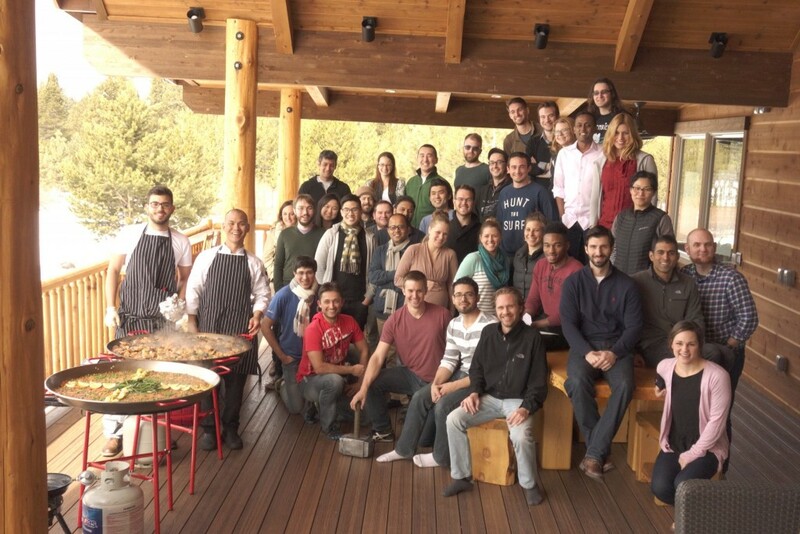 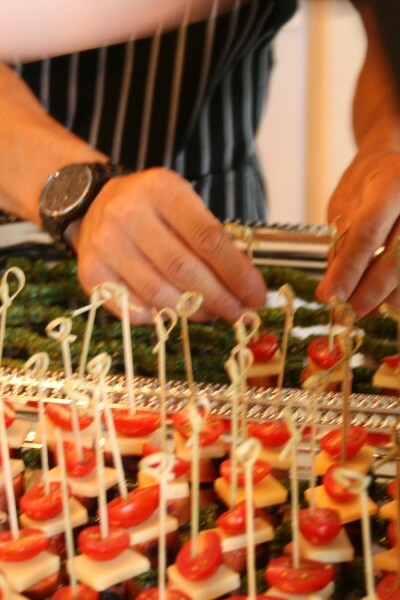 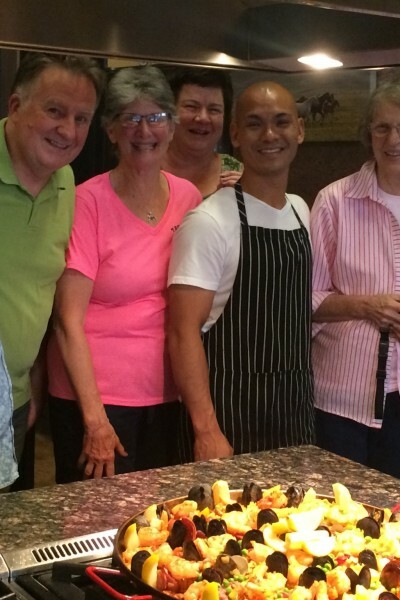 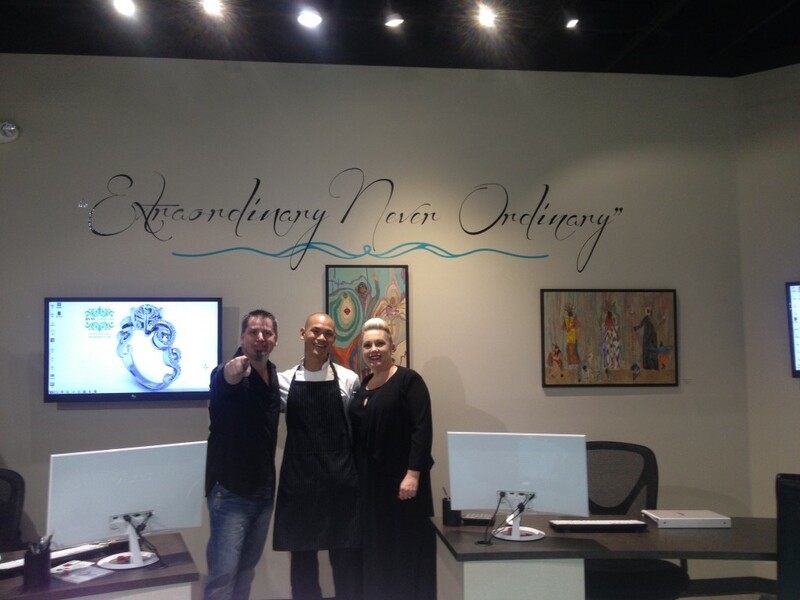 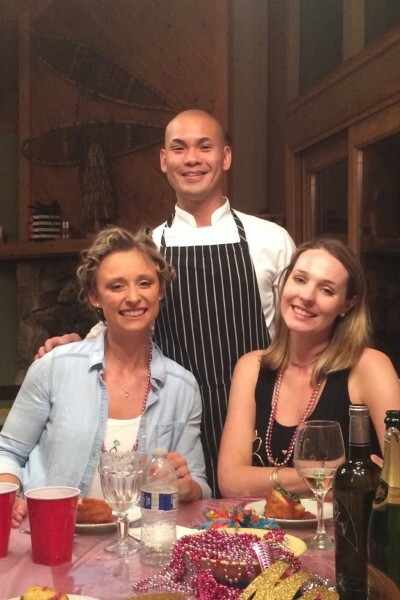 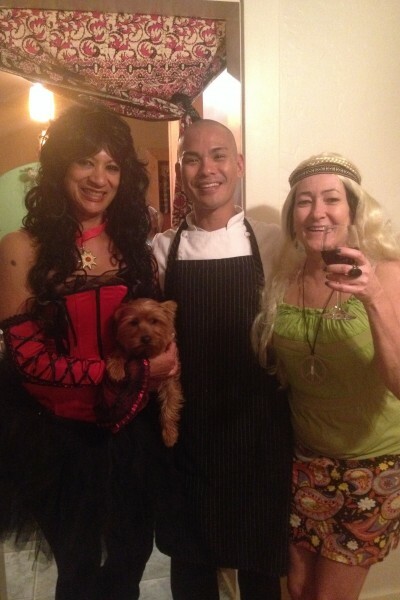 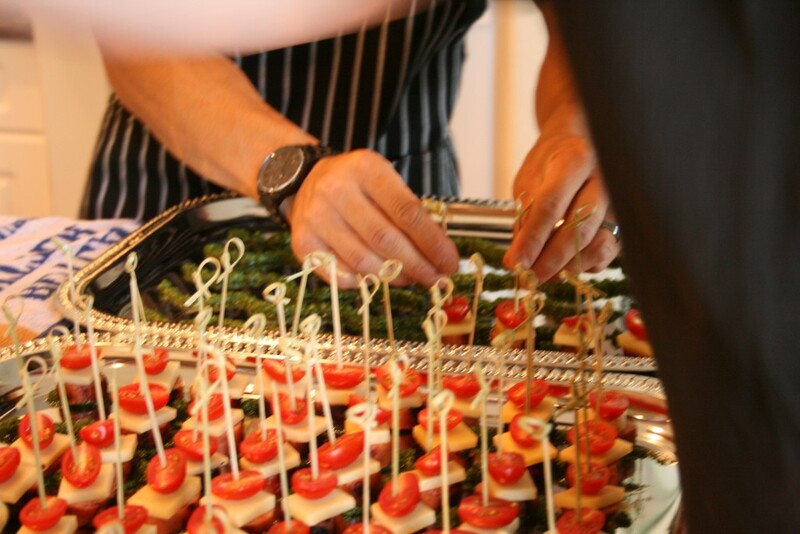 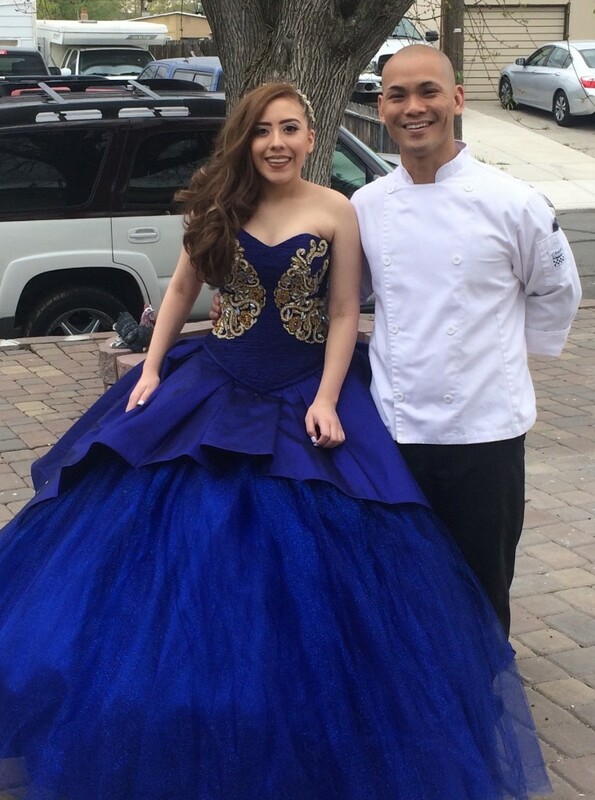 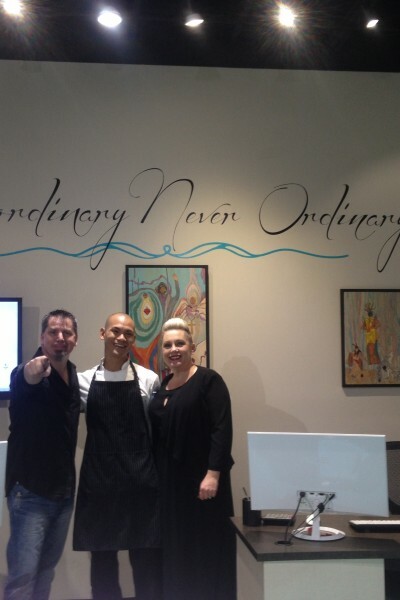 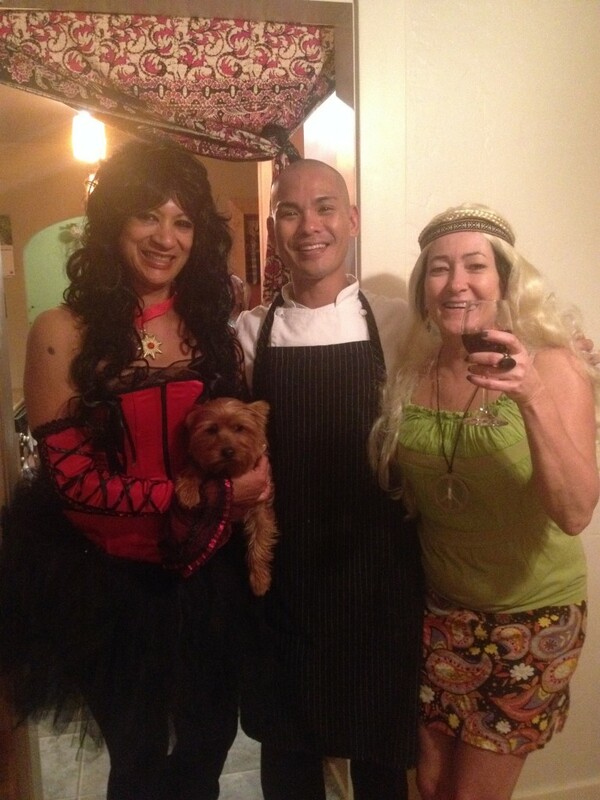 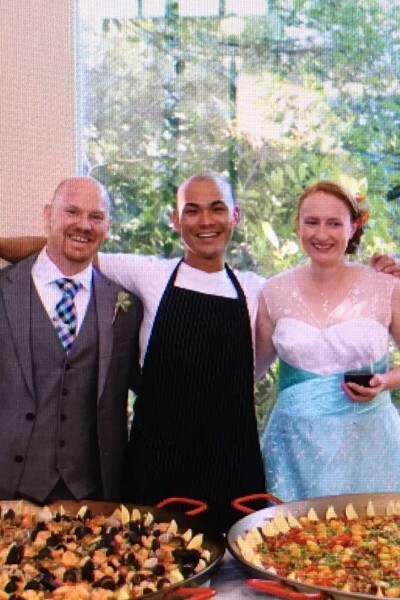 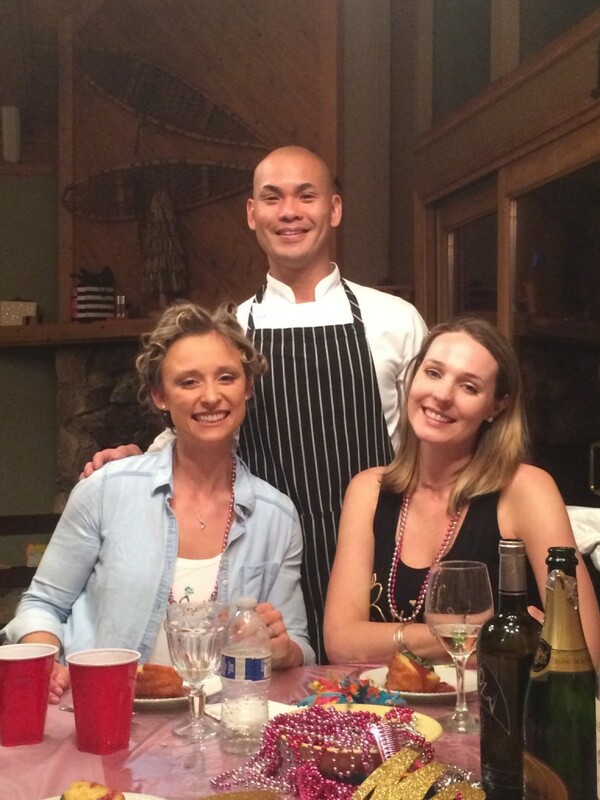 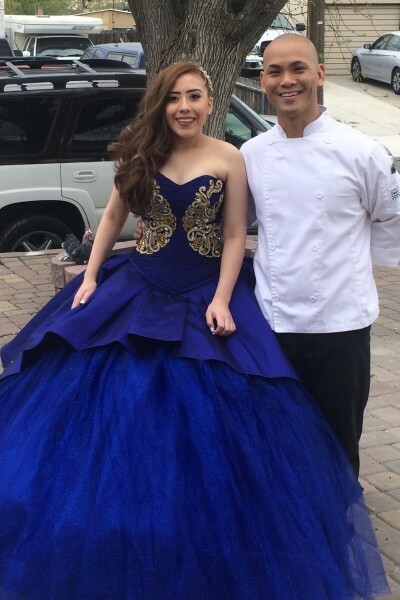 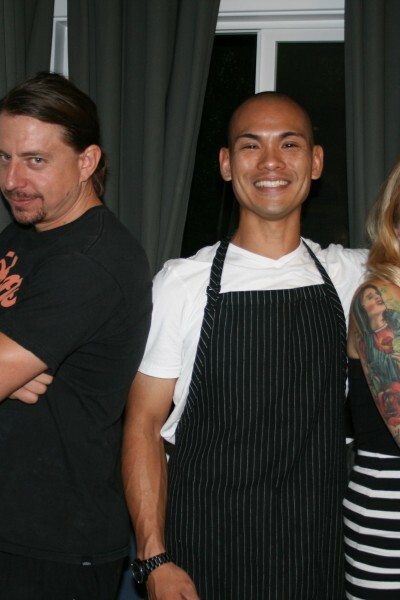 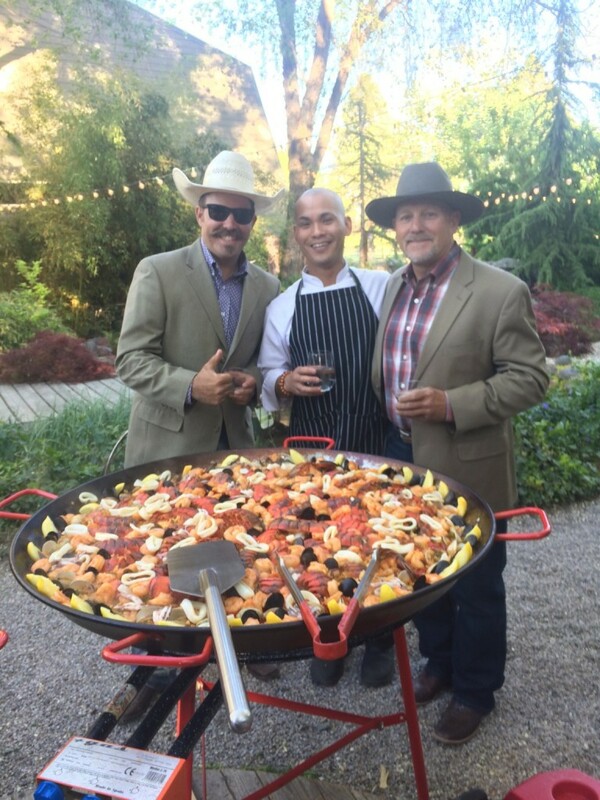 Throw a party in style, with Chef Tim Meevasin and his team. 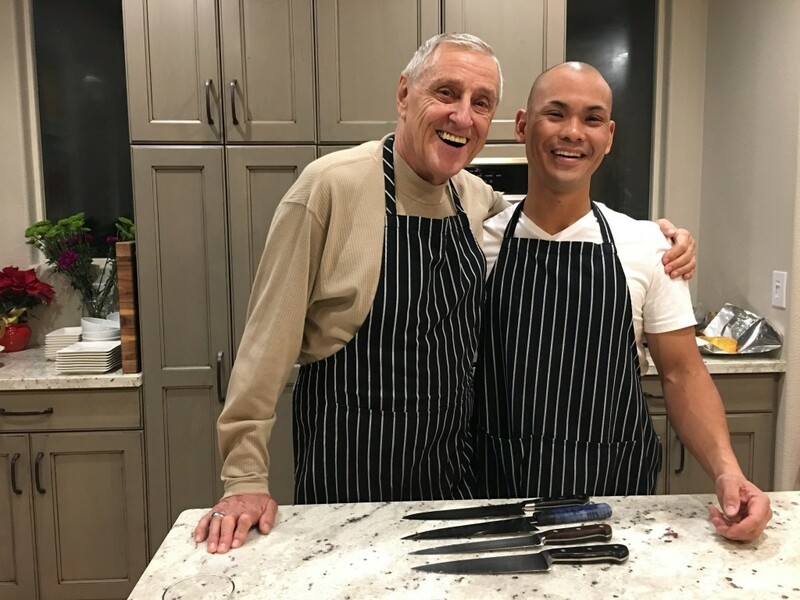 Enjoy a private dinner cooked in your own home with your friends and family and we’ll take care of all the planning, shopping, cooking, and cleaning. 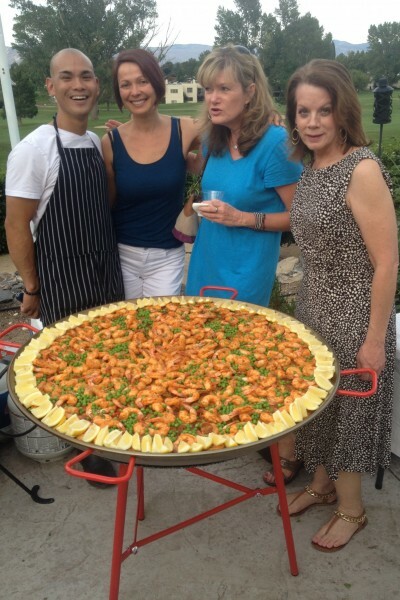 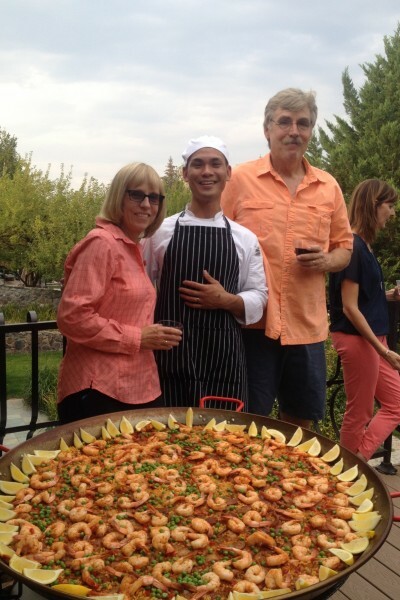 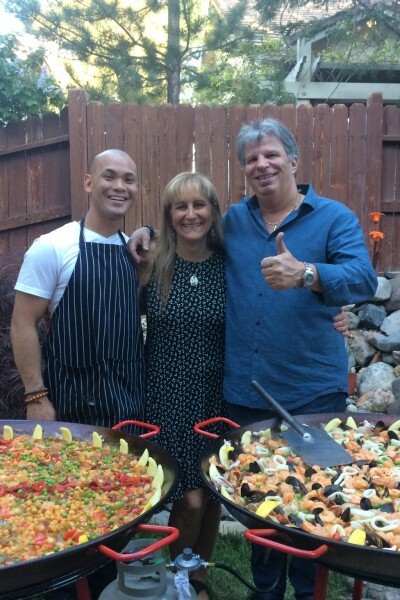 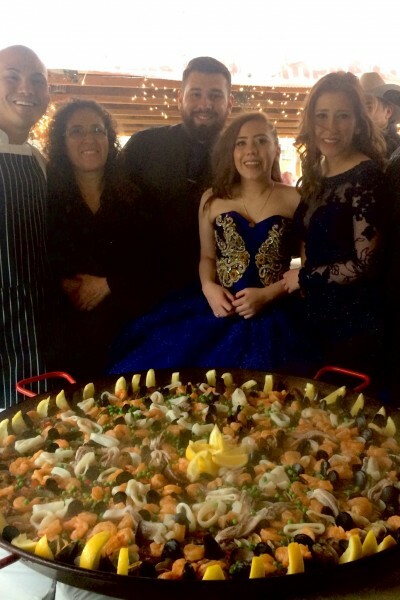 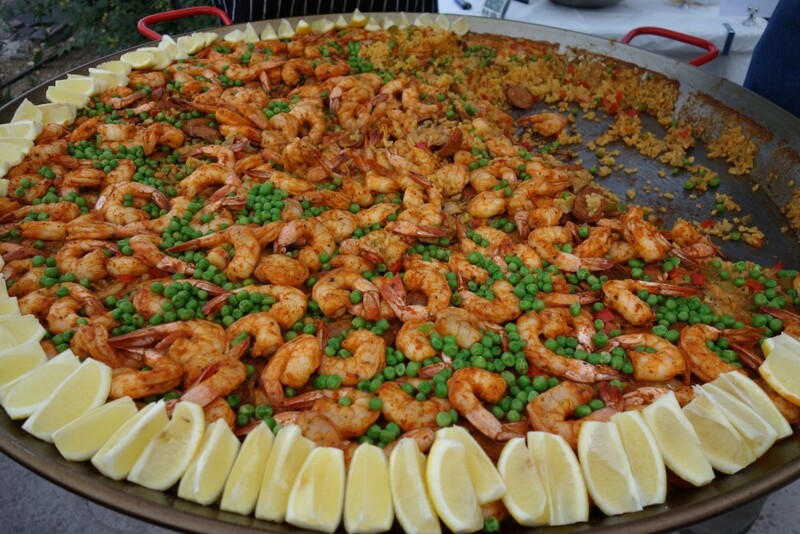 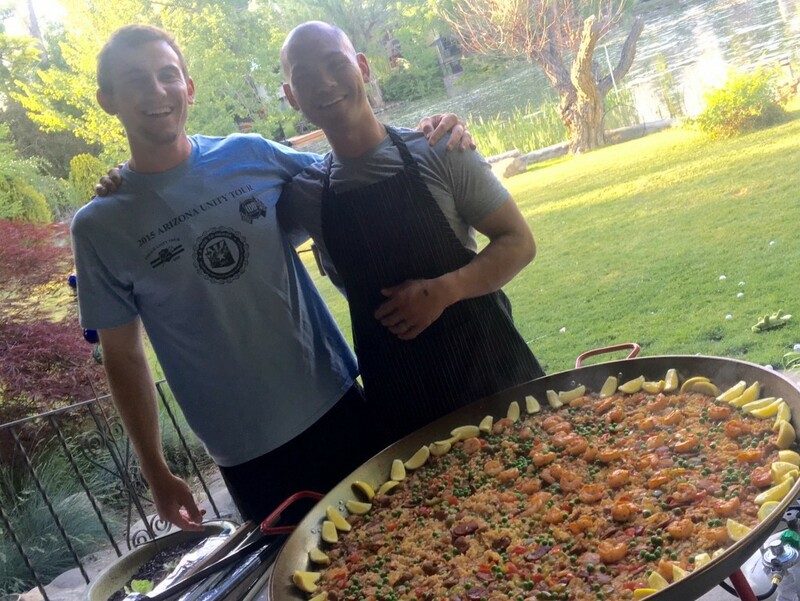 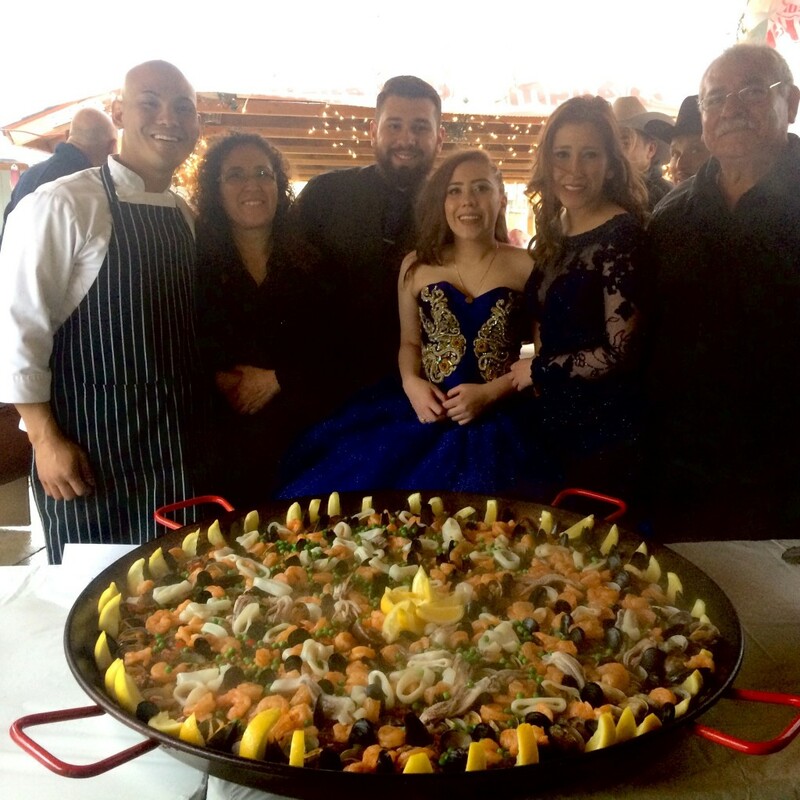 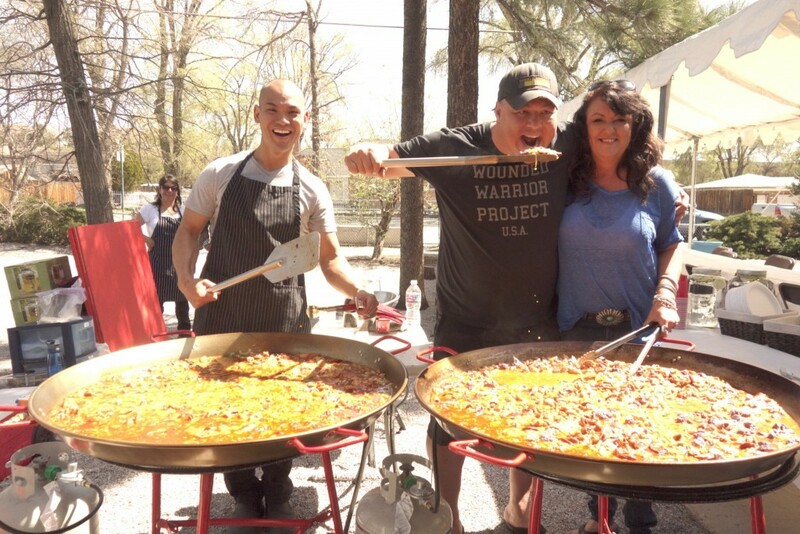 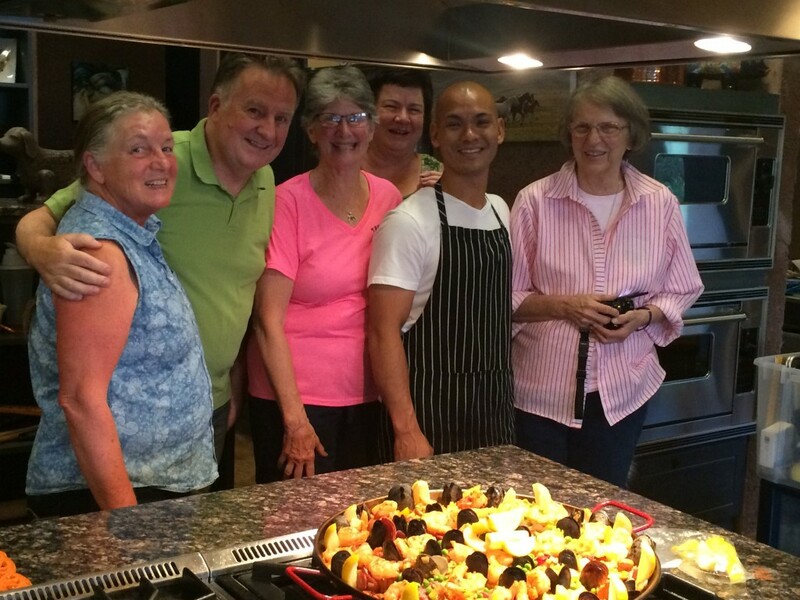 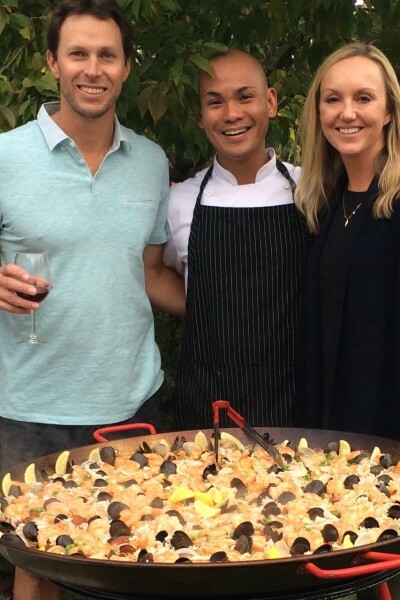 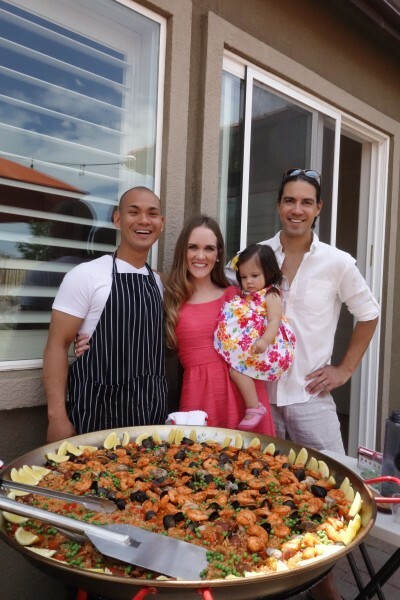 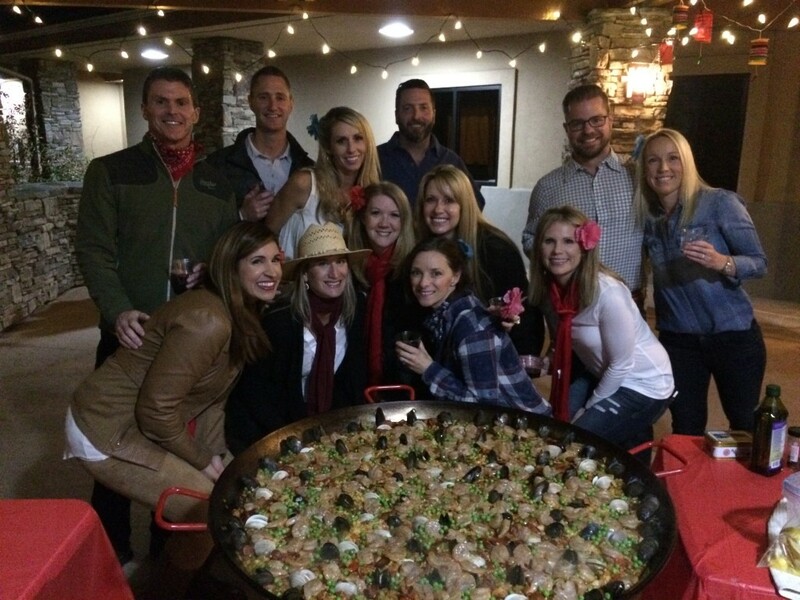 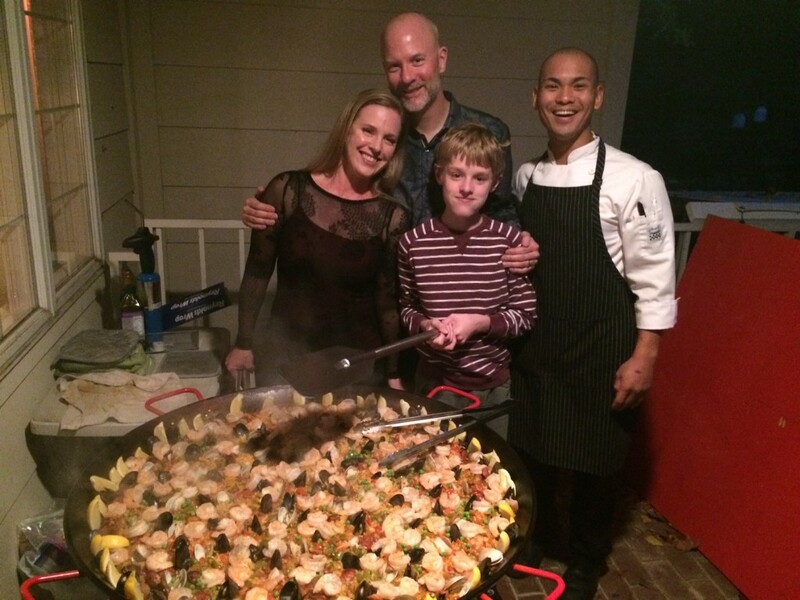 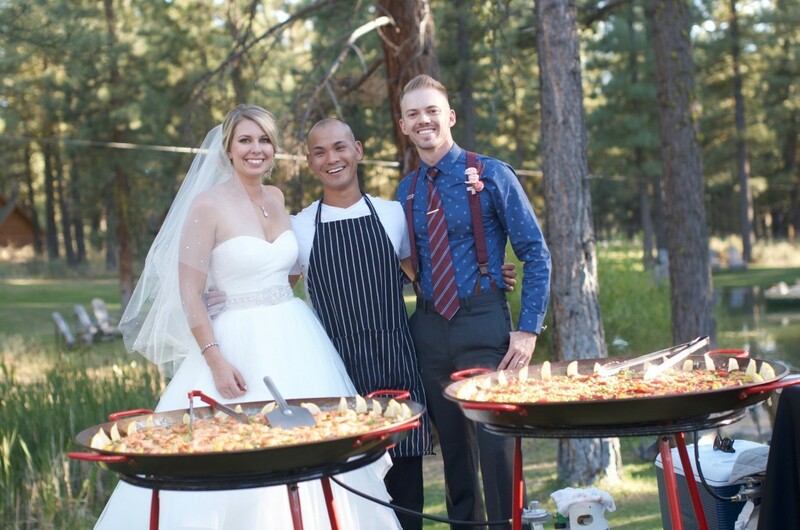 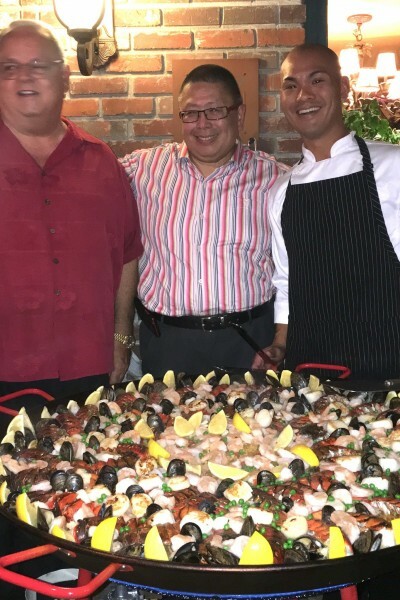 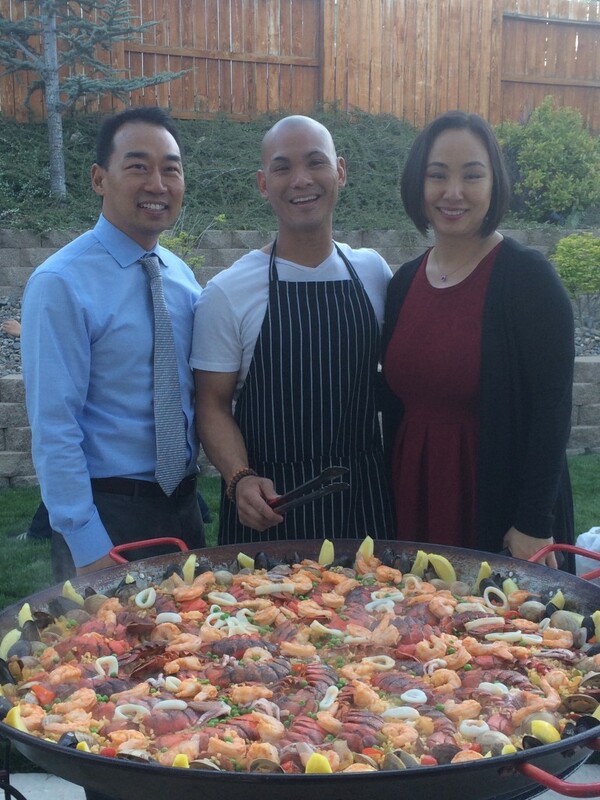 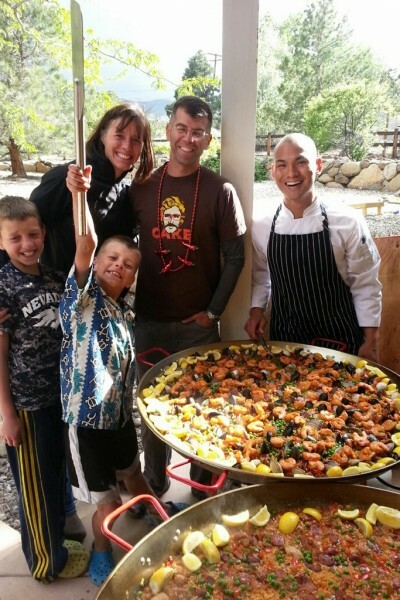 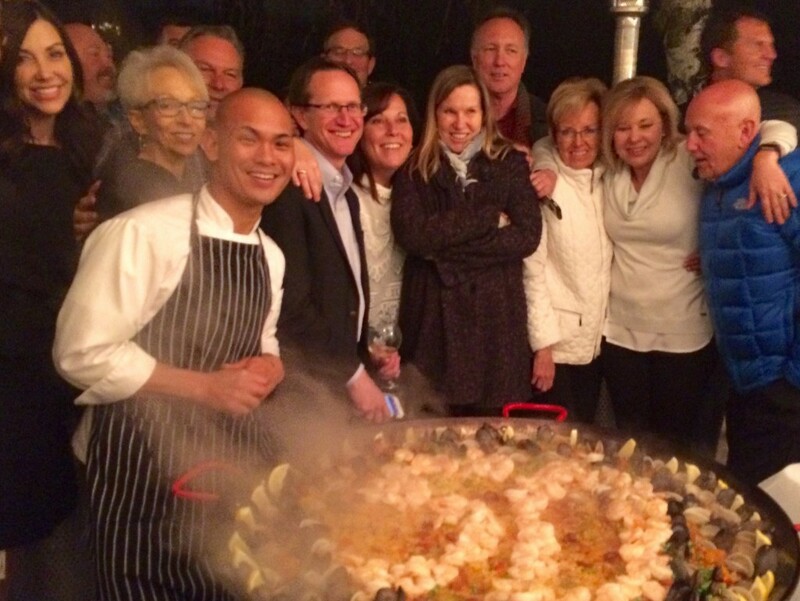 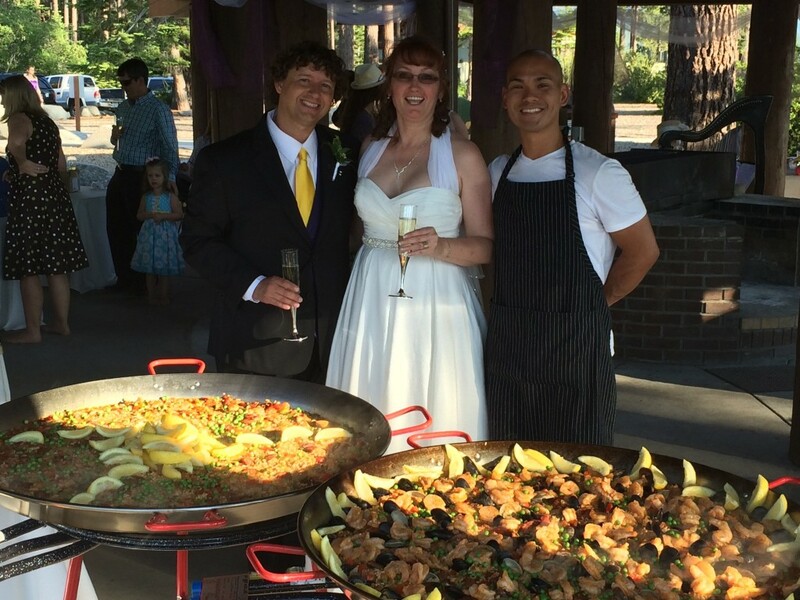 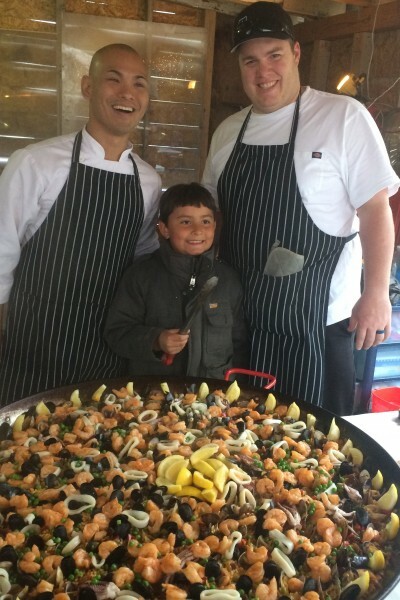 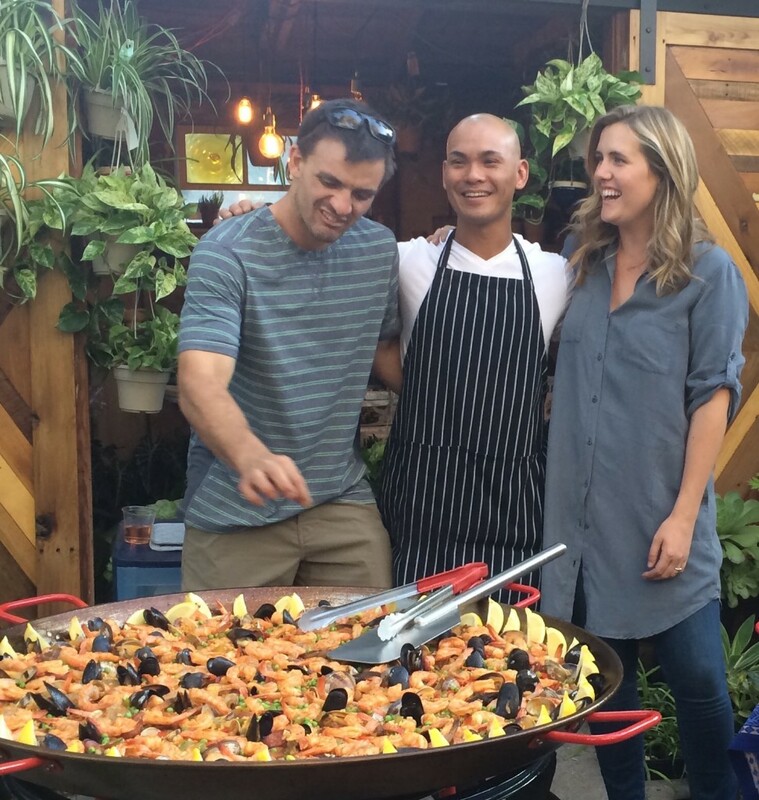 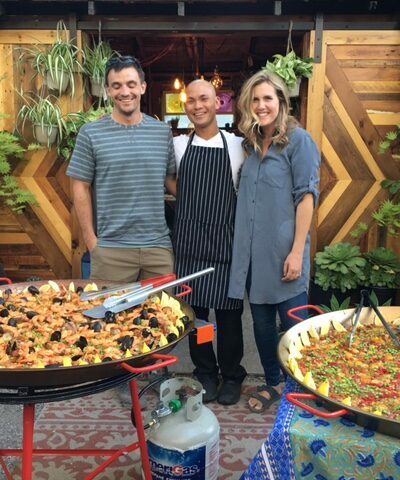 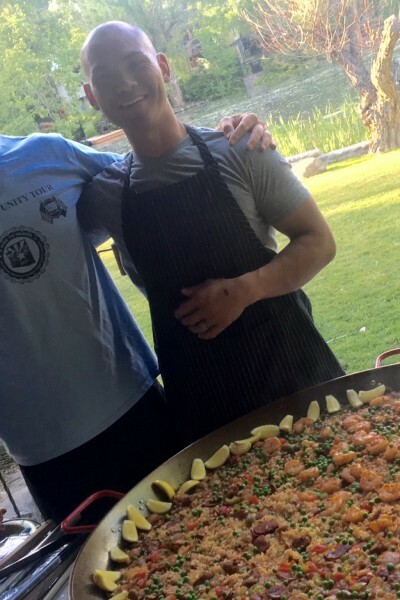 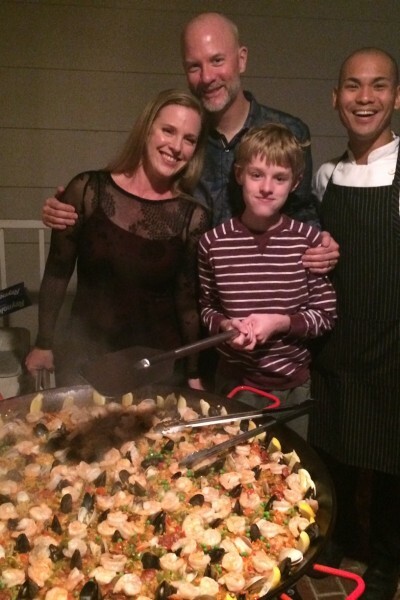 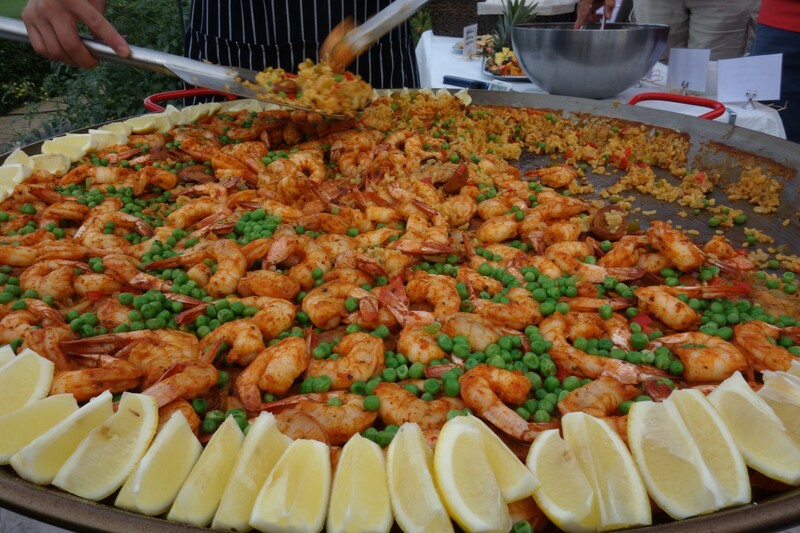 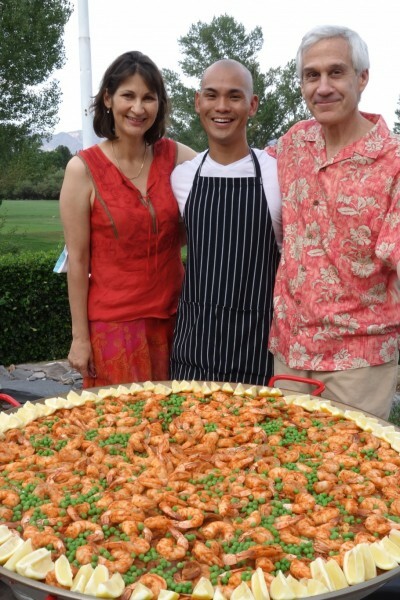 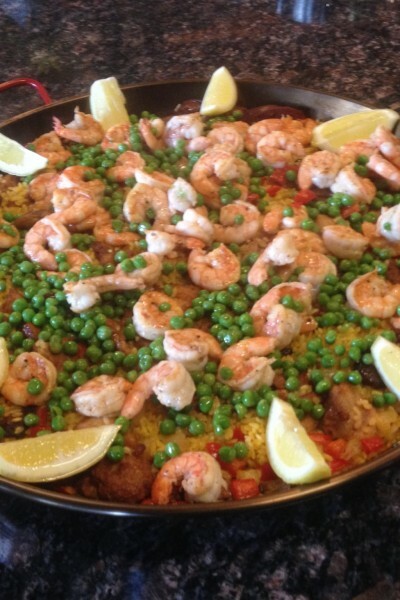 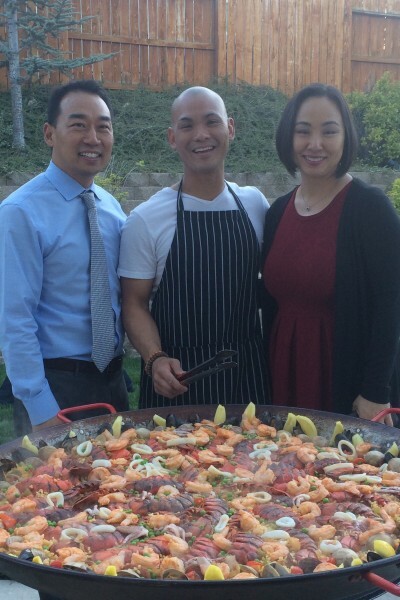 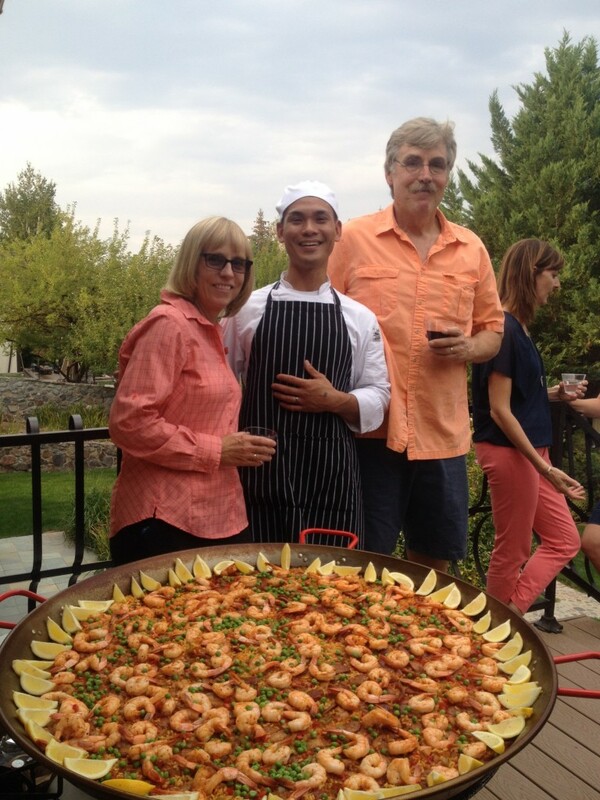 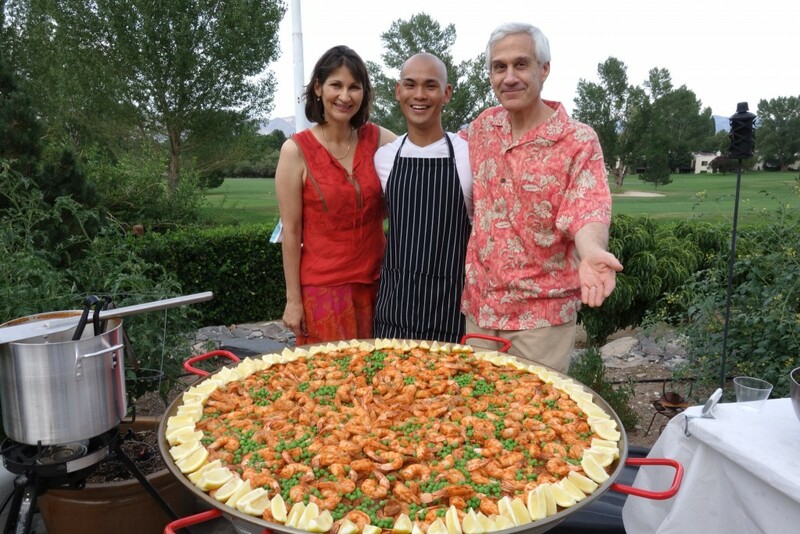 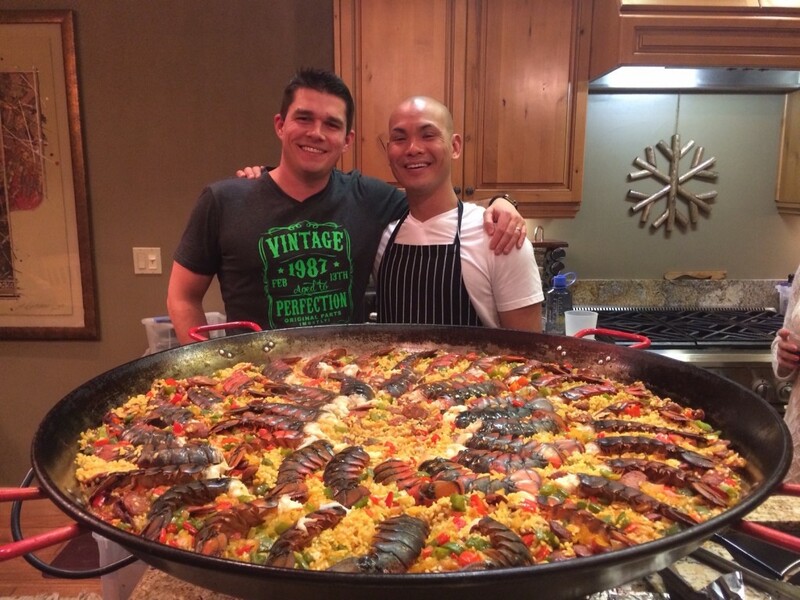 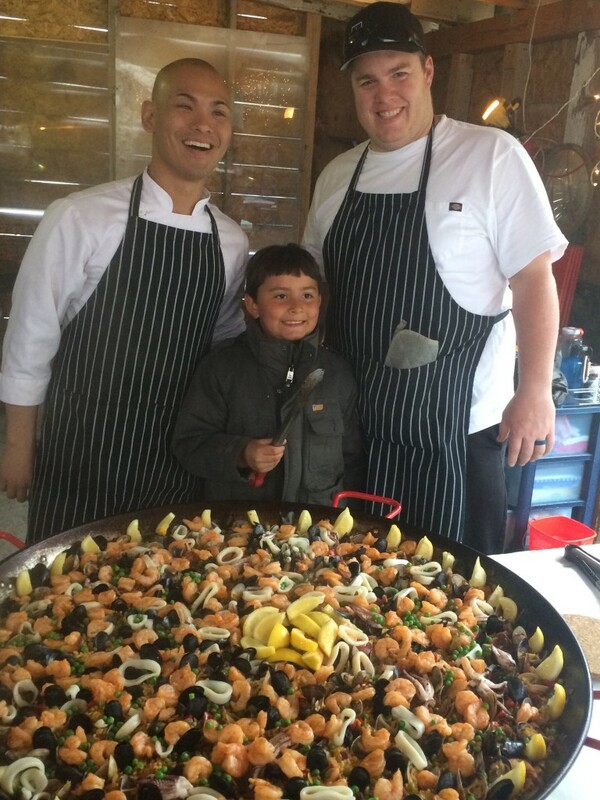 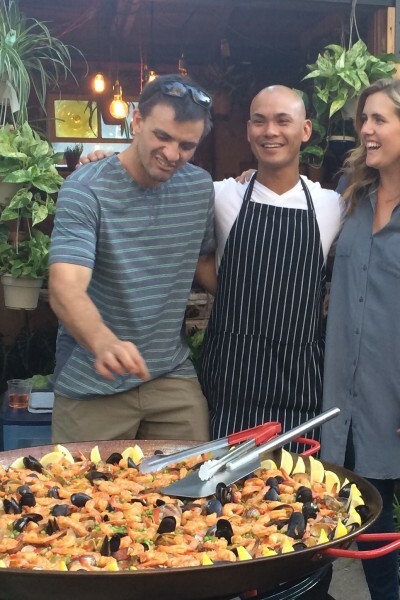 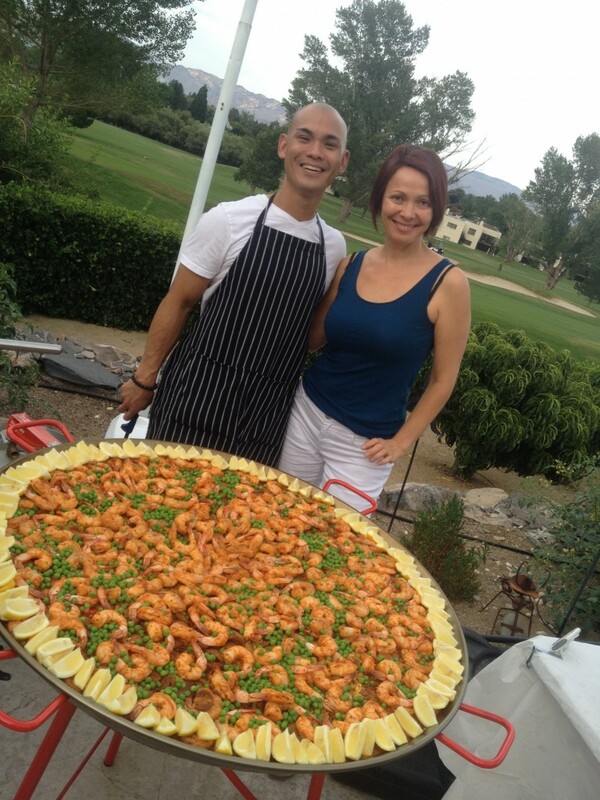 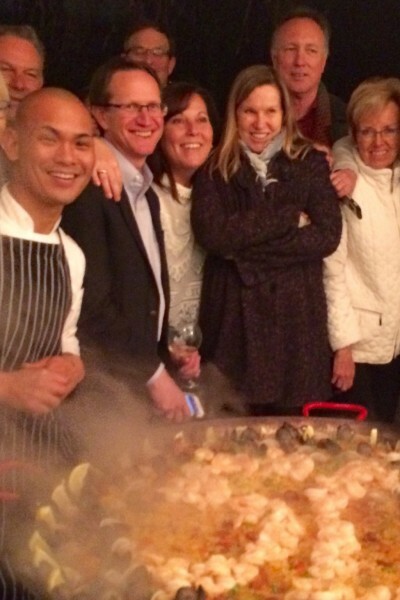 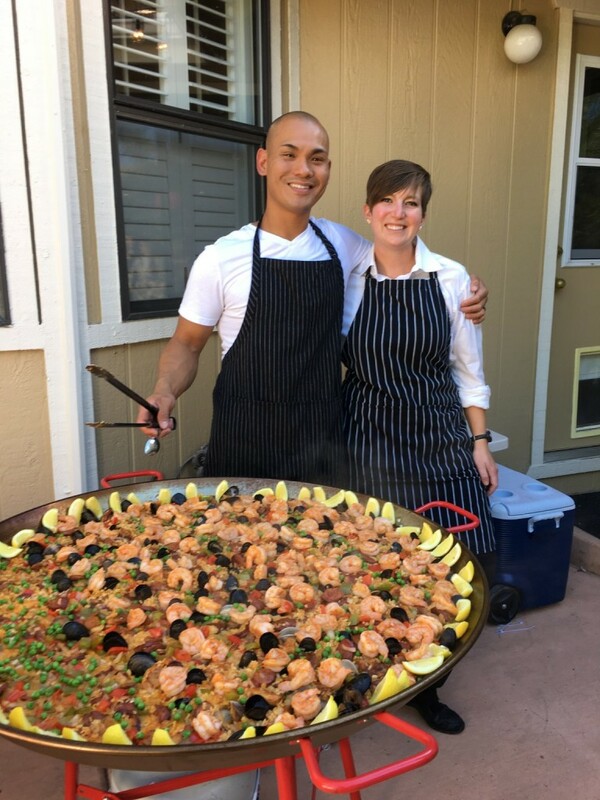 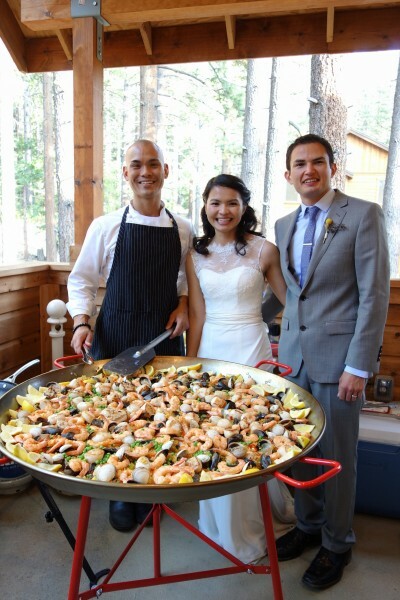 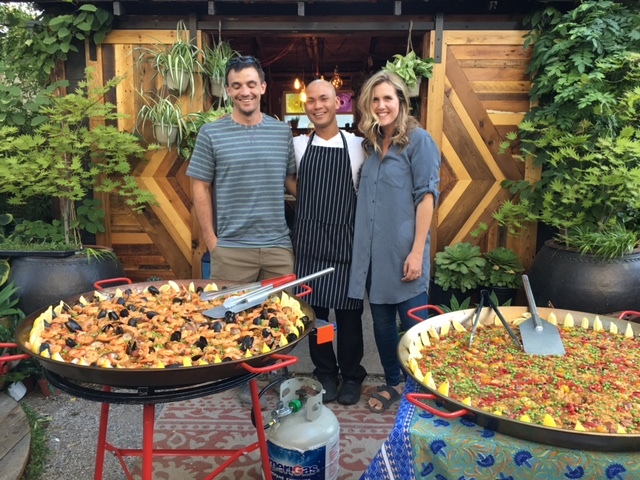 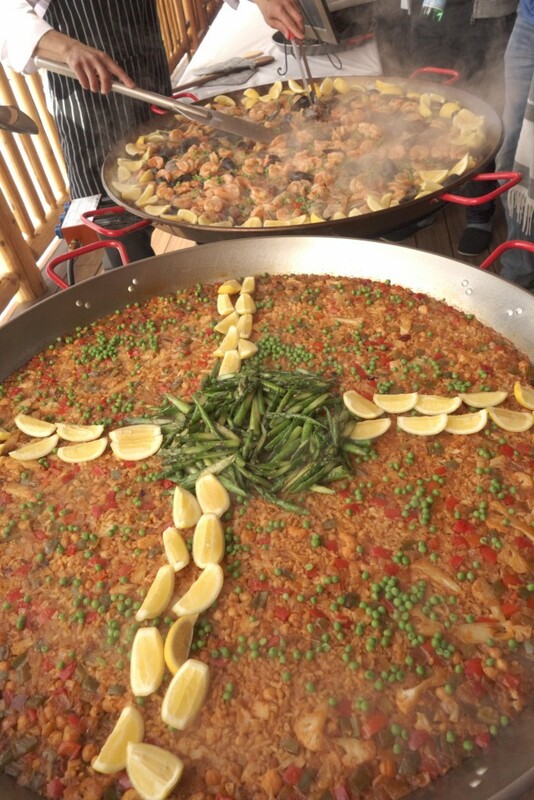 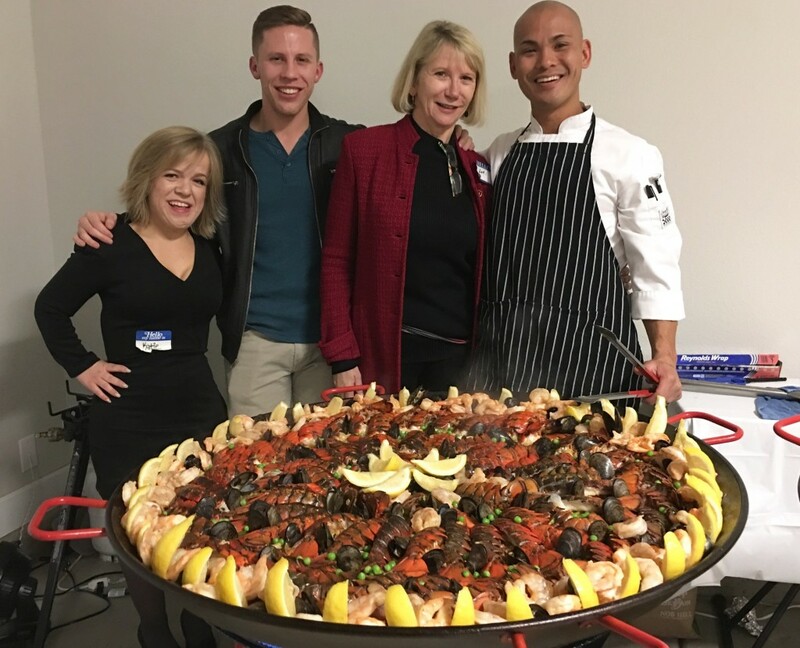 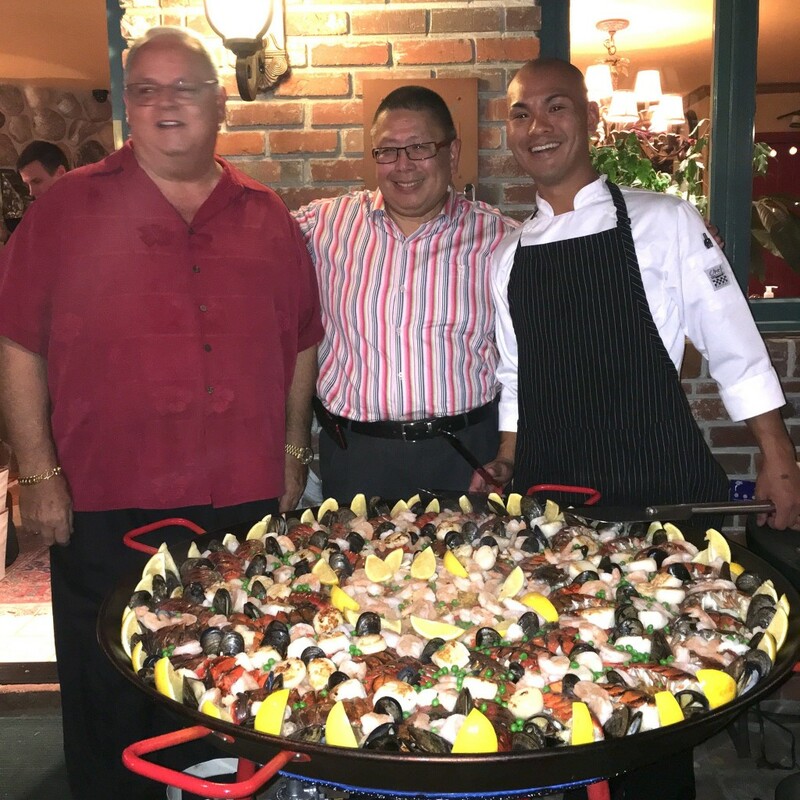 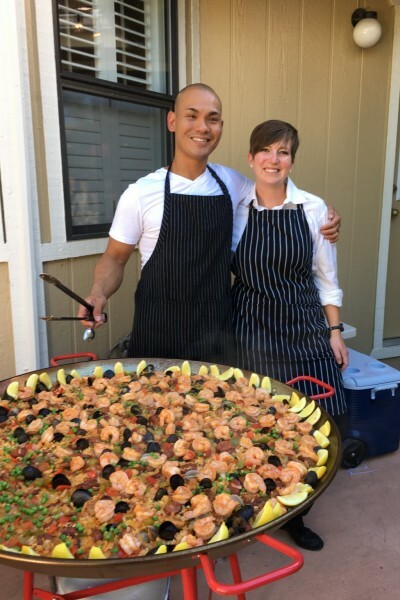 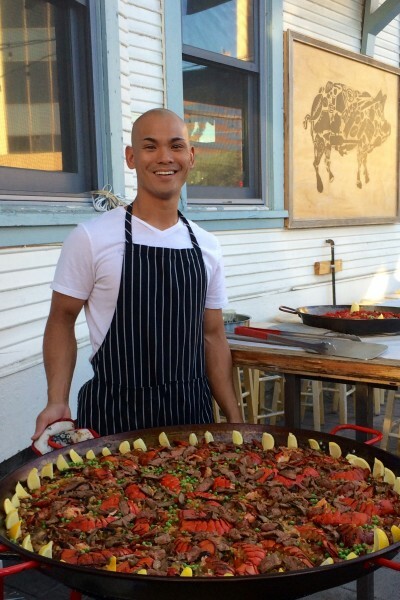 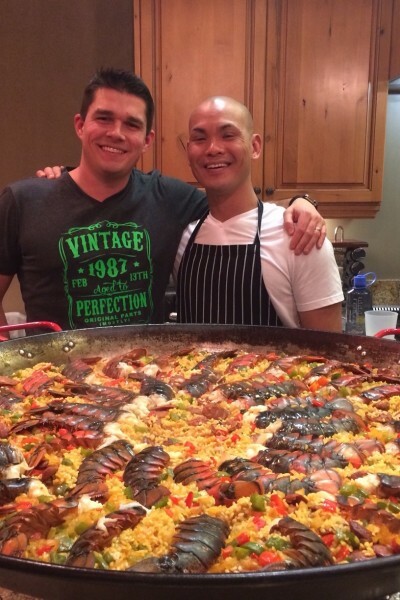 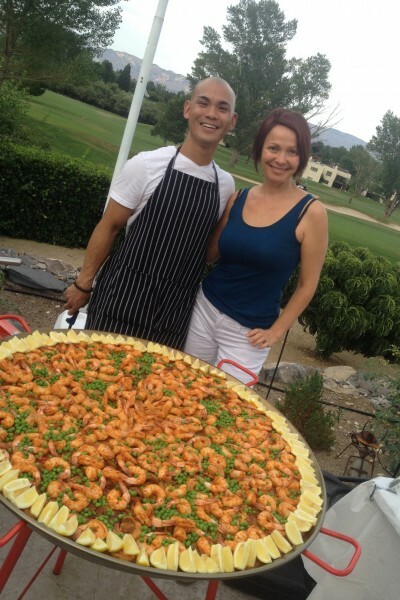 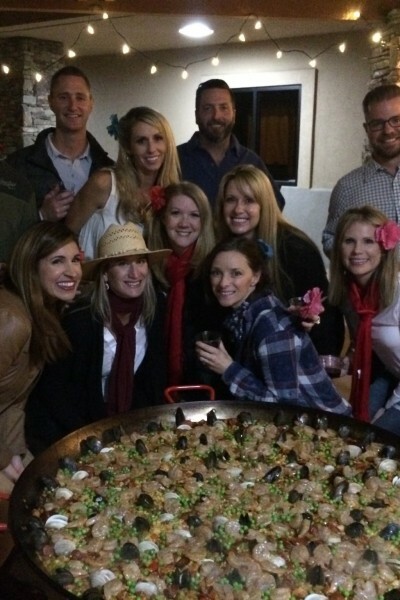 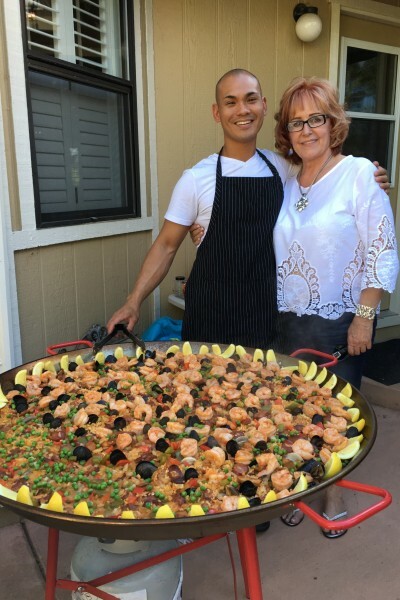 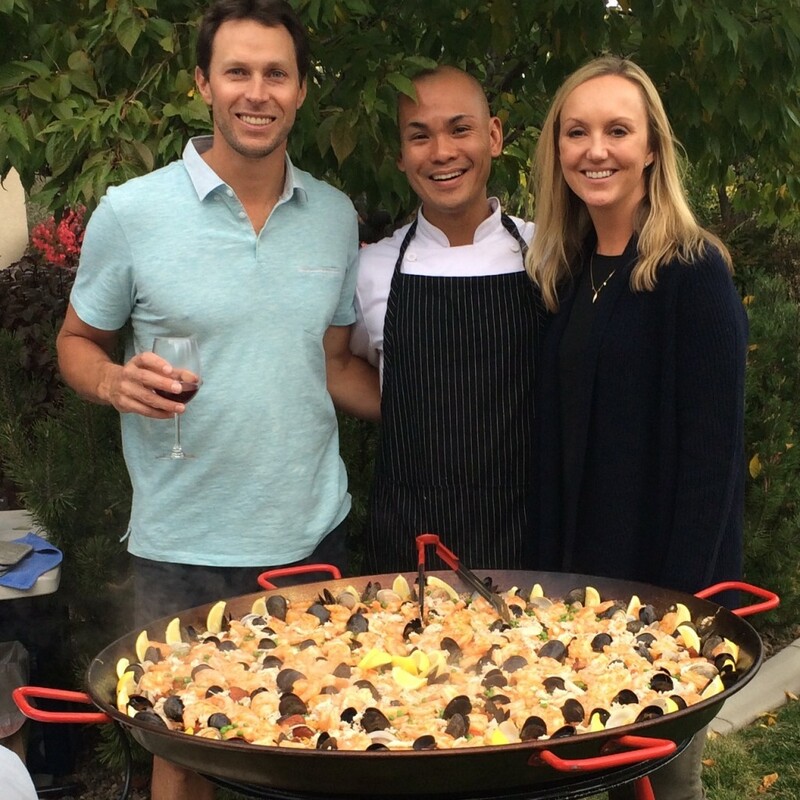 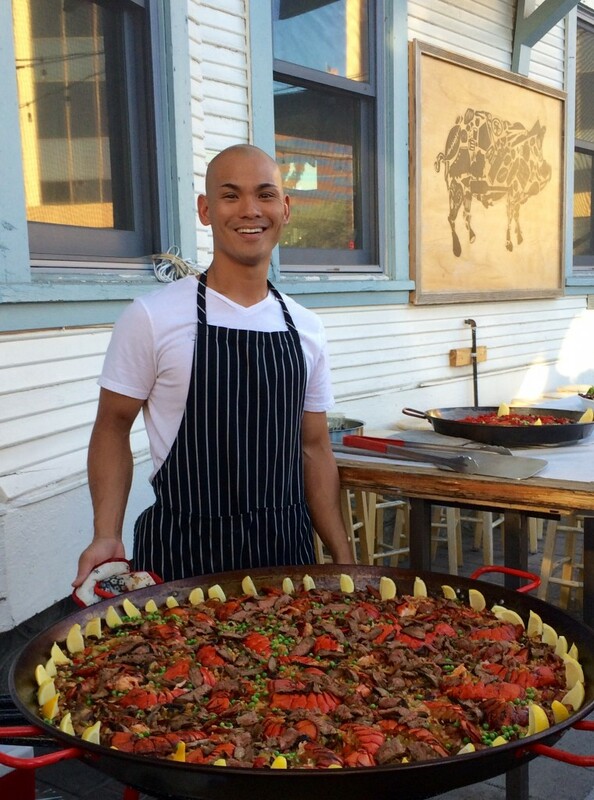 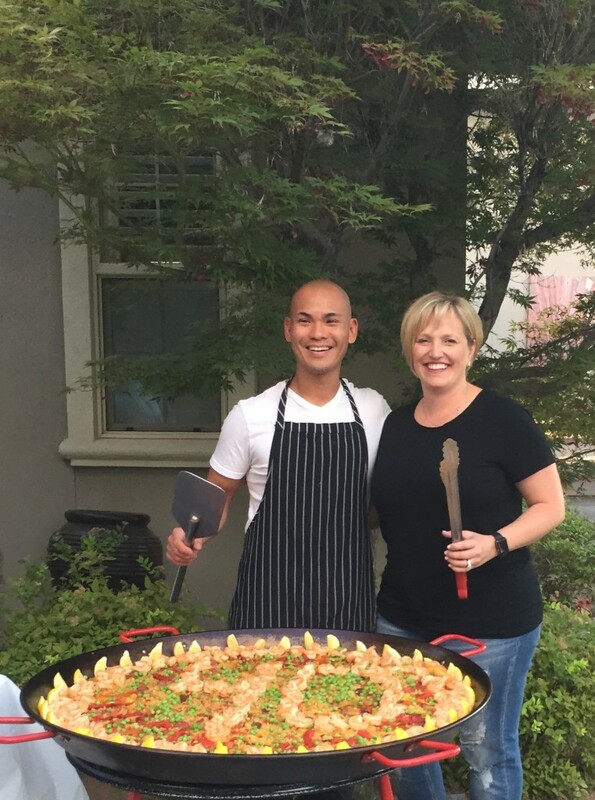 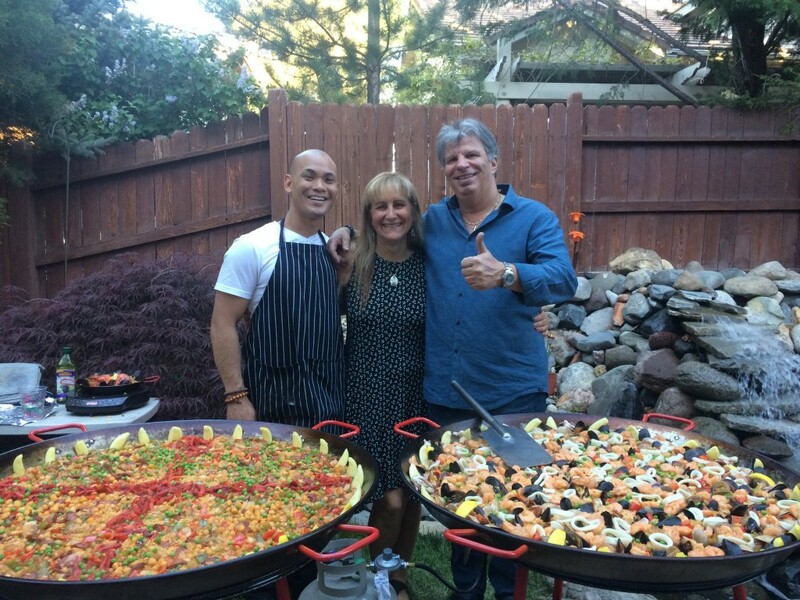 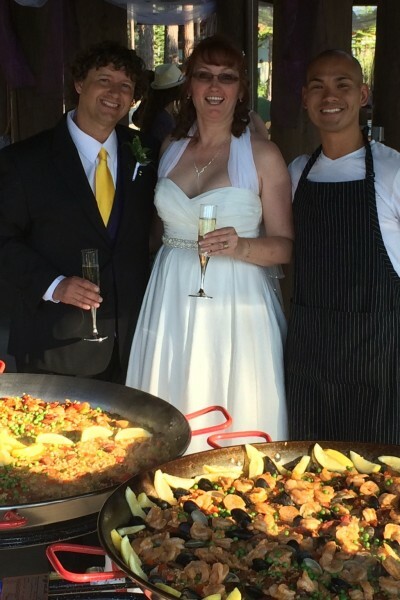 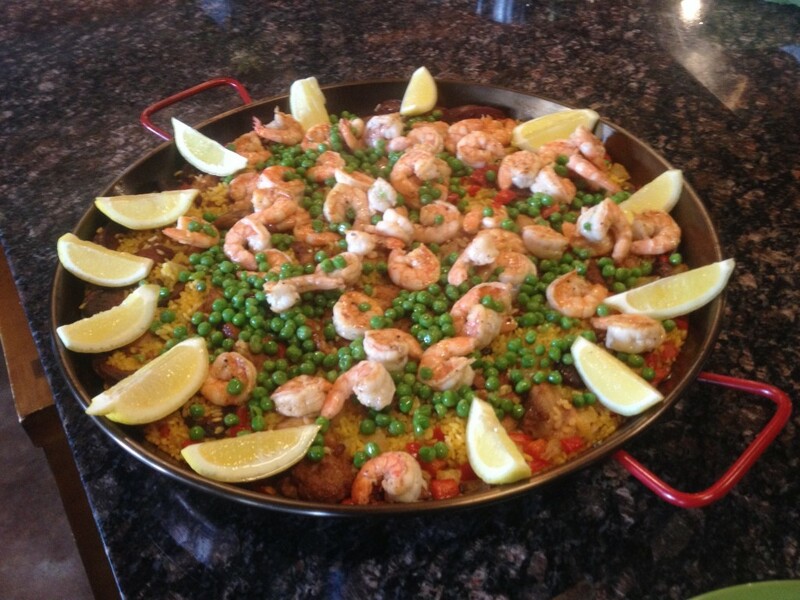 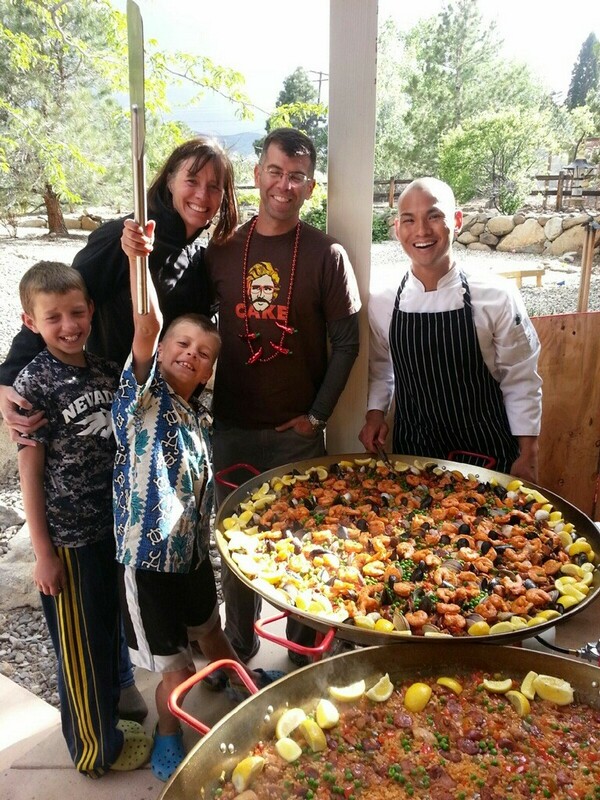 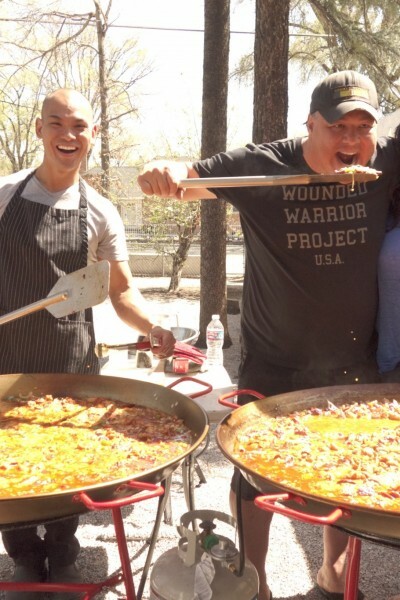 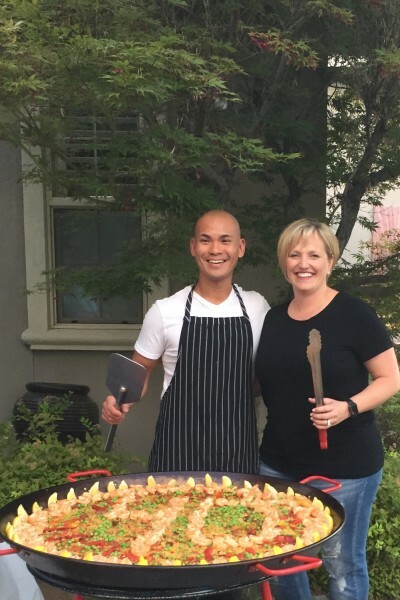 We specialize in custom dinner parties and paella parties for large crowds in our massive Paella Pan from Spain. 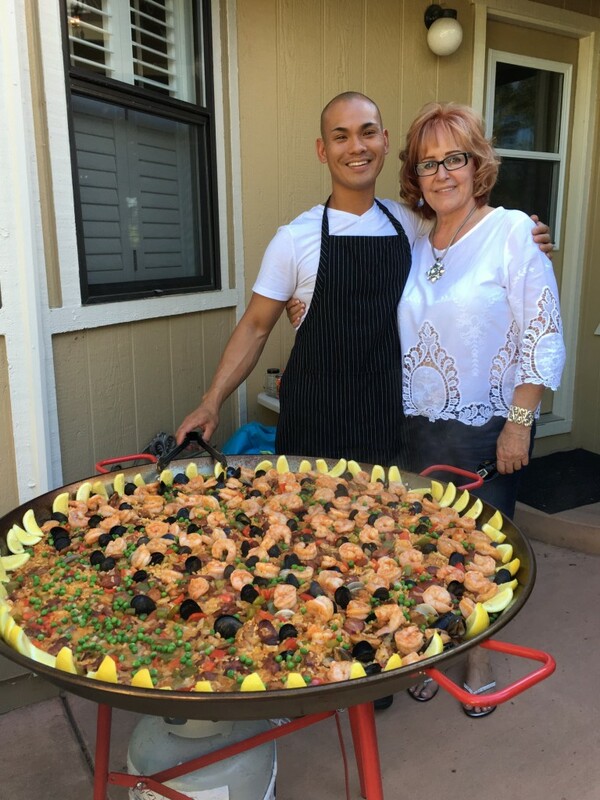 Chef Tim specializes in Paella and has spent many years playing with saffron and Chorizo to make his as authentic and delicious as possible. 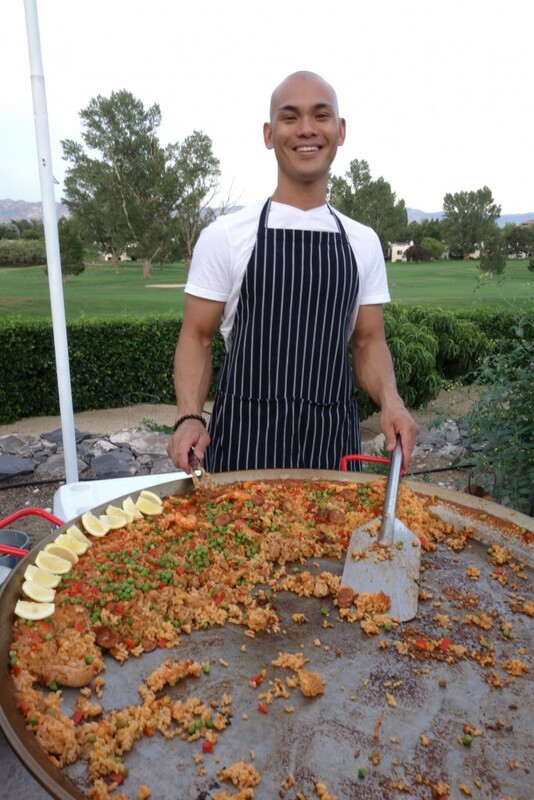 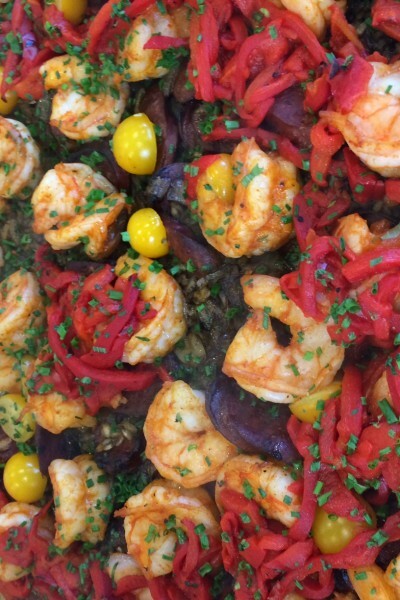 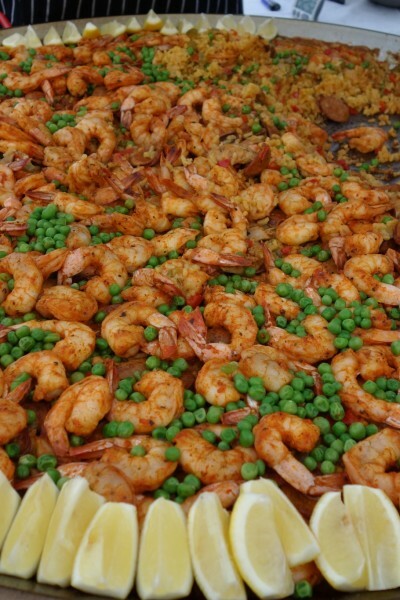 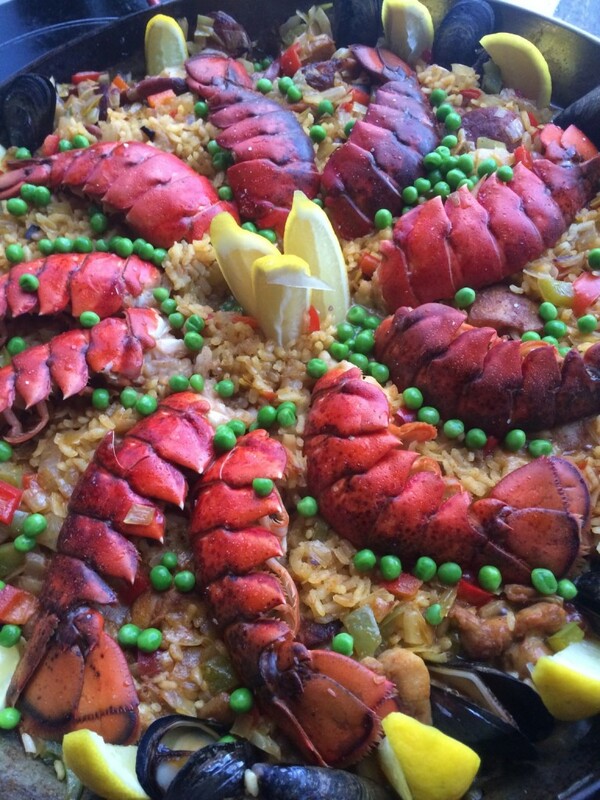 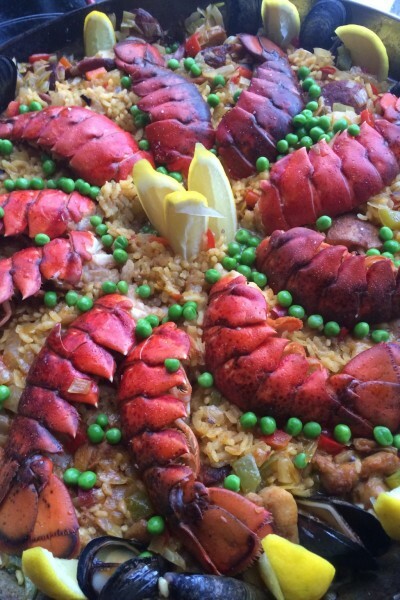 Our Spanish Paella is made from scratch at your event with the finest ingredients. 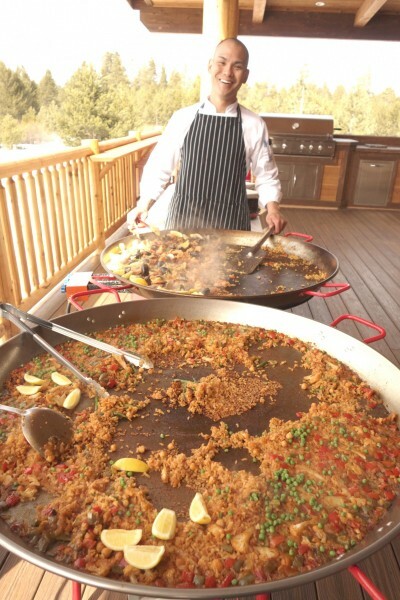 Chef Tim sources out the freshest seafood, Bomba rice, dry-cured Basque Chorizo, Spanish paprika, and grade A saffron. 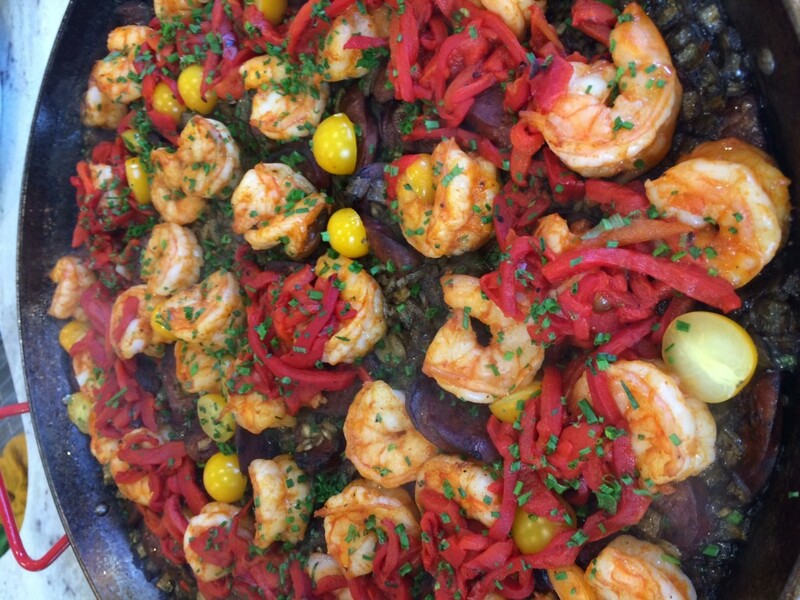 We also use a very special ingredient………lots O’ LOVE! 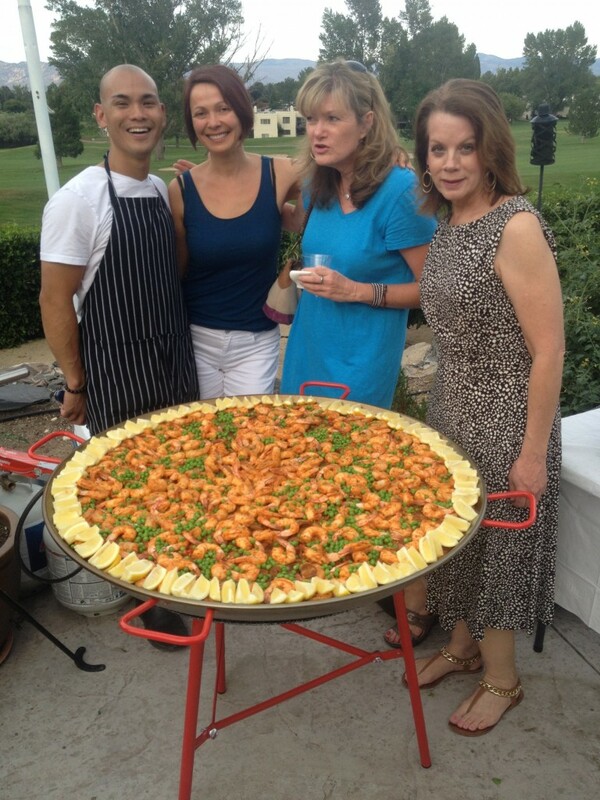 Best of all, he travels with a handmade pan from Spain that is bigger than him! 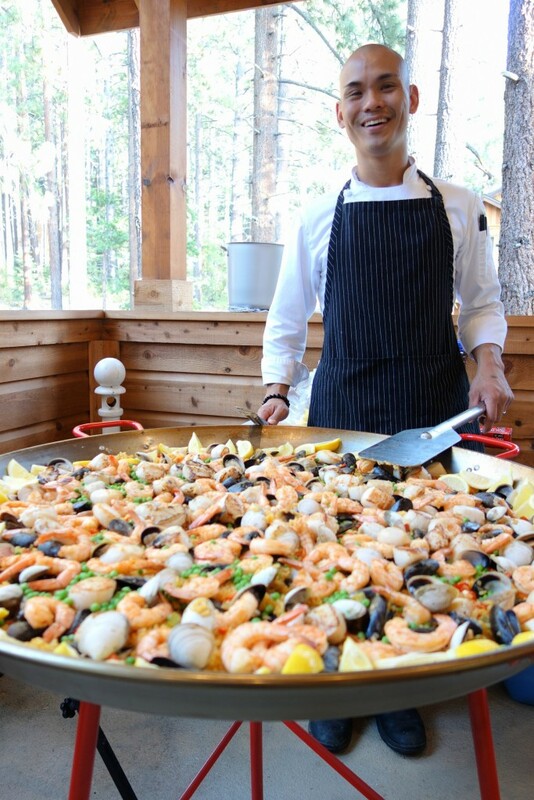 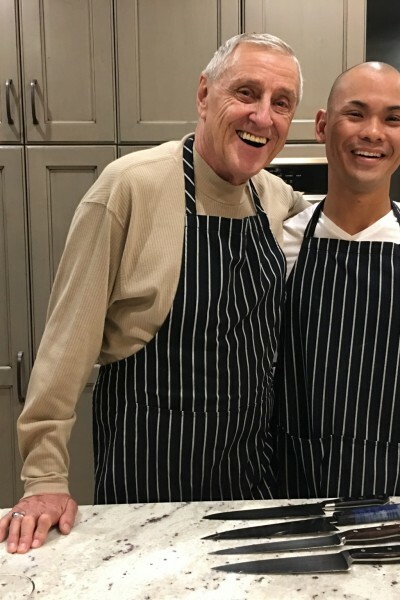 Not really, but the pan is huge and Chef Tim has an uncontrollable smile every time he cooks on it! 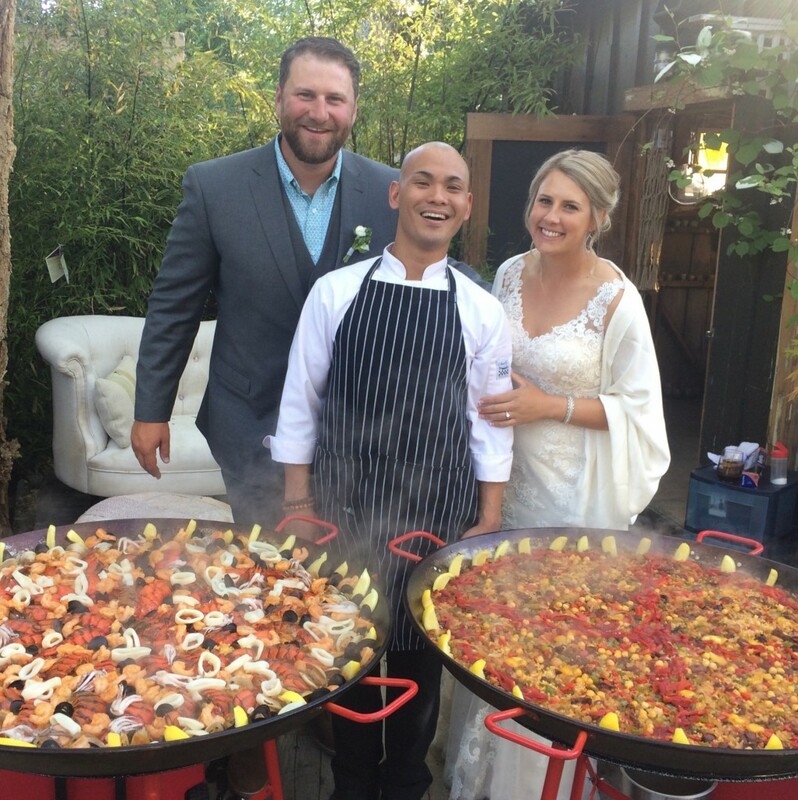 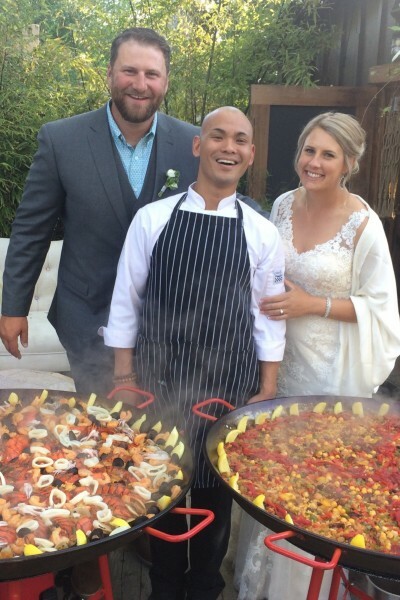 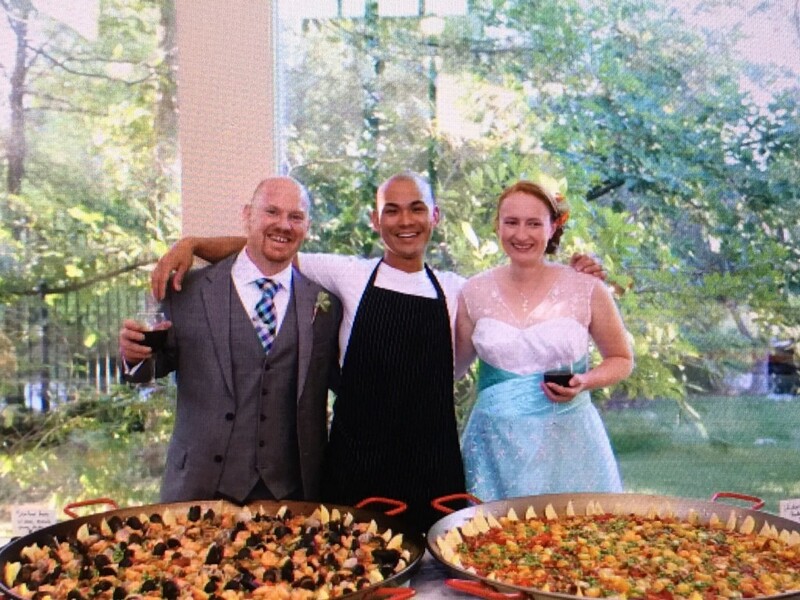 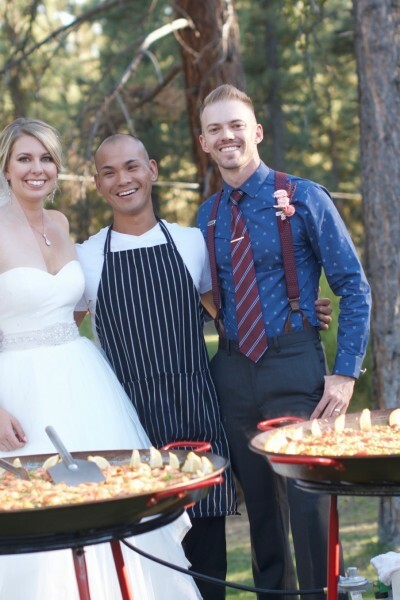 So whether it’s for a wedding, corporate lunch, or any special occasion that requires a ton of Paella, Chef Tim is your man.